Mud Between My Toes. How Important is a Book's Setting? Last week I blogged about things that are annoying in books - typos and such like - and Jen Gilroy, who is such a staunch supporter of my blog, commented that her pet hate is inaccurate geographical details in books set in real places. That set me thinking about the importance of a book's setting, whether real or fictional. 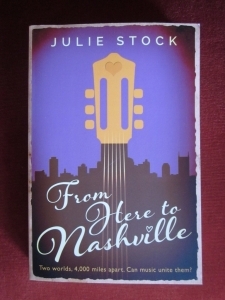 A day or two ago, I finished reading Julie's Stock's debut novel From Here To Nashville, in which the heroine is spirited off to Nashville to see if she can break into the American country music scene. Julie's decriptions of Nashville and other places in the US suggested first-hand knowledge. All I can say is, if Julie hasn't visited these places, it doesn't show! 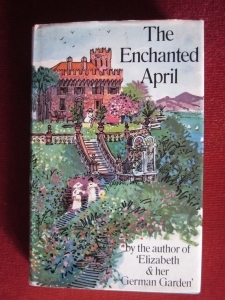 A title which springs to mind as evoking a wonderful setting is The Enchanted April. You can practically feel the Italian sun on your skin as you read and not only do you know what SanSalvatore looks like, you also know how it feels to be there - simultaneously peaceful and rejuvenating. The castle and its beautiful grounds are almost a character in themselves. 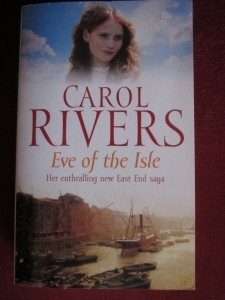 An author who always creates a compelling sense of place in her books is saga writer Carol Rivers, who uses her in-depth knowledge of the Isle of Dogs as the backdrop for her gripping stories of the East End in the first half of 20th century. As for the flood in Eve of the Isle, I can feel the mud squelching between my toes just thinking of it. If you are a reader of American cosy crime series, you'll probably be familiar with the reviews on Amazon. You know the ones I mean - those that say, "I look forward to spending more time in Xville." 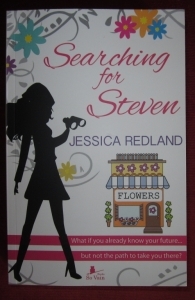 Well, a novel that made me feel like that was Jessica Redland's captivating Searching For Steven, in which Whitsborough Bay is vividly portrayed as an busy, appealing community with independent shops, attractive landmarks and lots going on. I'm looking forward to visiting there again in the next two books in Jessica's trilogy. 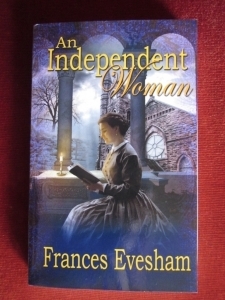 In her Victorian novel, An Independent Woman, Frances Evesham creates an atmosphere of mystery and intrigue right from the outset by using places to create the appropriate backdrop. When we first meet Philomena, she is stealing up a twisted staircase in an alley on a morning of dense fog; and later, when she reaches Thatcham Hall, its grandeur and decorum only serve to emphasise the secrets kept within. It is a perfect match of location and atmosphere. Letting in Light by indie-author Emma Davies is a love story of many layers, written with depth and honesty. Emma is also adept at place descriptions and the warm and intimate descriptions of Rowan Hill form a reassuring backdrop to the emotionally complex novel. 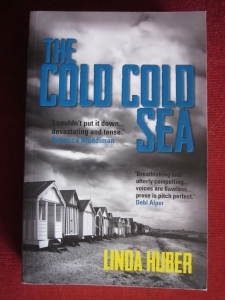 Linda Huber weaves her places and her story atmosphere so intricately together that you can't see the join. Her descriptions of the beach in The Cold Cold Sea underline the relentless power of the tide and are a perfect echo of the despair of the bereft mother; while the attractive village in The Paradise Trees makes the reader all the more aware of the horror edging ever closer and the fact that you have no idea what goes on behind closed doors. What do you think? Is setting important to you? Which books have transported you to another place? Thanks also to Jessica and Jan for their comments. Jessica, it was a pleasure to include Searching For Steven. Your character, Sarah, seemed to me to be so lucky to have such a lovely place to go home to when things went wrong in her life. You have created such a strong setting that it's obvious you know it very closely and this enables the reader to picture it too. Lovely to hear from you. Jan, reading a novel when you are actually in its setting is a fascinating experience, but for that setting to be such a gorgeous place really is the cherry on the cake. I'm sure that being there must have enhanced the pleasure you derived from the book. Thanks for commenting. Interesting point, Nicola. With a contemporary novel, it's important to bear in mind the year in which it was written, so that recent "discrepancies" don't grate on you. Nowadays it is much easier to get the setting right, due to transporting onto the streets with a well known internet browser. However, things change so quickly in today's world which may result in a few inconsistencies in between the time of writing a novel and it actually being printed. In the end, we are writing fiction so aren't a few minor discrepencies fogiveable? Great post, Susanna! Thank you so much for including me, Susanna! I'm genuinely touched. When Searching for Steven went through the NWS, the sense of place was one of the real positives my reader picked out. I completely agree with you about loving books with a strong sense of place. 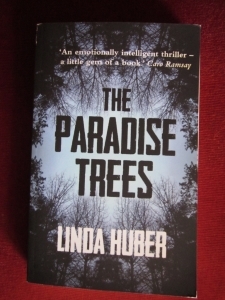 I've read Letting in Light and The Paradise Trees and did find that both created great descriptions of their settings which made the enjoyment of the books so much greater. A couple of my fellow Write Romantics - Sharon Booth and Jo Bartlett - have wonderful settings for their novels which are vividly described and make me want to live there too. You're right, Jo - settings aren't just about place. 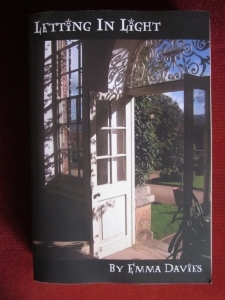 I blogged a few weeks ago about The Italian House by Teresa Crane, in which the setting informs the whole story - the plot and the atmosphere - and it also affects the characters. An evocative setting is so much more than just where the story takes place. Thank you for commenting. I love books with strong settings - and have been known to cast aside books where the setting is simply not convincing. Everything happens somewhere - nothing exists in a vacuum even though it may feel like it to lovers, so I think settings can be extraordinarily powerful in creating atmosphere and context. I agree with you about Janet Gover's books, Jen. Being able to transport readers to a place of which they have no personal experience is a special skill and one to be cherished. Thanks for sharing your thoughts. I am sending you and your family my warmest wishes as you embark upon your new lives in Canada. I'm happy my comment on your previous blog inspired you to consider the importance of setting in books. As you already know, setting is hugely important to me, and I appreciate your suggestions of new books for me to enjoy. Janet Gover's books always transport me to the Australian outback, a place I've never been but which she evokes so beautifully in fiction. One of my all-time favorite books is Margaret Mitchell's 'Gone With the Wind,' and the lost world of the American South. As always, thank you for a very enjoyable post. Julie, thanks for commenting. You have certainly proved how essential thorough research is - and how effective it can be, too. Today's researchers, of course, have access to all kinds of information, but writers have always used trusted sources. Put together geographical facts with storytelling ability, something that Dickens, of all people, had by the bucket-load, and you have the makings of an evocative setting. I enjoyed looking at your photographs on Pinterest of Alsace, where your next novel is set. There are a couple that are particularly pretty and I'll be looking out for them when I read the book. Thanks for including my book in your list, Susanna. What interests me about this though is that I hadn't been to Nashville when I wrote my book. I did lots of research of course and when I did finally get there in April this year, I double checked it was all accurate and was relieved to see it was! So the important thing in my mind, is research, in the same way that research is important for all settings, real or imagined. One of my favourite books is 'A Tale of Two Cities,' particularly because of the settings but I can't know how accurate the writing is because I wasn't there - I still trust Dickens to have done his research even though he wasn't there either - and I know he relied on a few trusted historical sources for his information. I think he has succeeded though because I still find the settings more and more evocative with each new read. Glad you approve, Wendy! Thanks for dropping by. What great choices, with a few I've yet to read.